Is It Possible to Grab Quality ZZZs on a Road Trip? Sleeping like a baby has never been something I have aspired to in my quest for a good night’s sleep. Babies wake up every three hours, and, whether it is to eat, have a change, or to party with their sleep-deprived mamas, this behavior qualifies as awful, broken sleep for grownups. But, sleeping like a baby sleeping in a car is definitely something I long for on road trips. Babies and kids (when they’re not crying or screaming) have a supernatural ability to shut down completely in a moving car, sometimes before the car even pulls out of the driveway. Me, I can’t seem to get comfortable. The seatbelt is jabby, the car is hot, the radio is annoying, and the driver is trying to make me stay awake and help navigate the trip. Blech. I just want to sleep. On behalf of the universe, the experts at Sleep.org have answered. To capture the elusive worthy nap during a road trip, they suggest starting by getting as comfy as possible. This includes loosening the laces of shoes or kicking them off completely, donning a more forgiving ensemble with looser fabric, and cozying up under a cotton blanket instead of one made from synthetic fabrics like polyester. Next step is to block out all the world has to offer, both visually and audibly, with a sleep mask and ear plugs or noise-canceling headphones. Finally, it is time to get into position. 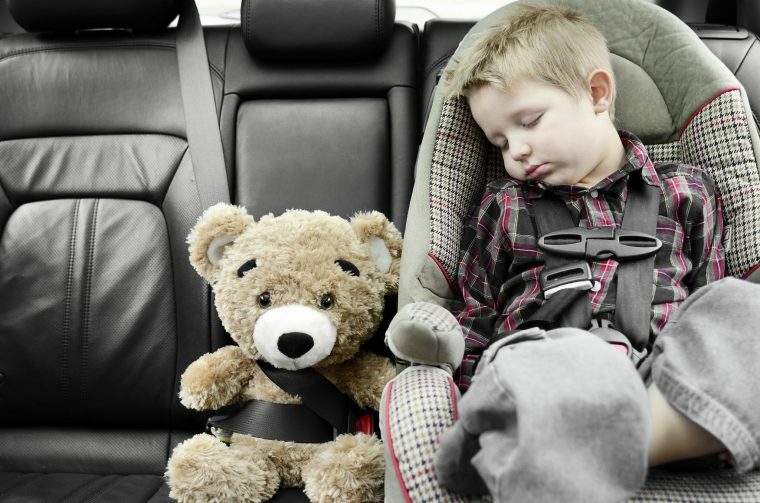 According to the Sleep.org experts, having to sit up is what makes getting comfortable in a car next to impossible, so they recommend using a neck pillow, leaning against the window or even leaning forward. This option is easier on a plane since there is a handy dandy tray table available; in a car, consider using a pillow to curl into while leaning forward. DeAnn Owens is a Dayton transplant by way of the Windy City, yet considers herself to be a California girl at heart even though she’s only visited there once. To get through the dreaded allergy season unique to the Miami Valley, she reads, writes, complains about the weather, and enjoys spending time with her husband, two sons, and their newest addition, a Boston terrier puppy that is now in charge of all their lives. In the future, she hopes to write a novel and travel through time. See more articles by DeAnn.